#stampinup #faithfulinkspirations Yesterday, I shared a card I made with the "Country Home" stamp set. It was pretty and rustic. Today, I'm using the same stamp set, the same focal point, and the same coloring technique--but the card has a much more modern pop to it. Just like yesterday, I stamped the pitcher and floral arrangement in Memento Tuxedo Black Ink onto Shimmery White Paper. I colored the image with Crumb Cake, Old Olive, Daffodil Delight, and Pumpkin Pie Watercolor Pencils and blended the colors with an Aqua Painter. 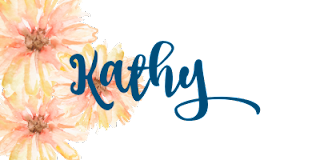 Instead of cutting an oval shape, I used my Paper Snips to fussy cut the image. Next, I embossed a 2-1/2" by 5-1/8" piece of Galvanized Metallic Paper with the Tin Tile Embossing folder. I adhered this to a3-3/4 by 5" piece of Basic Black Card Stock panel that I embossed with the Subtle Embossing Folder. I wrapped a length of Silver Metallic-Edge Ribbon around this and adhered everything to a Thick Whisper White Card Stock card base. 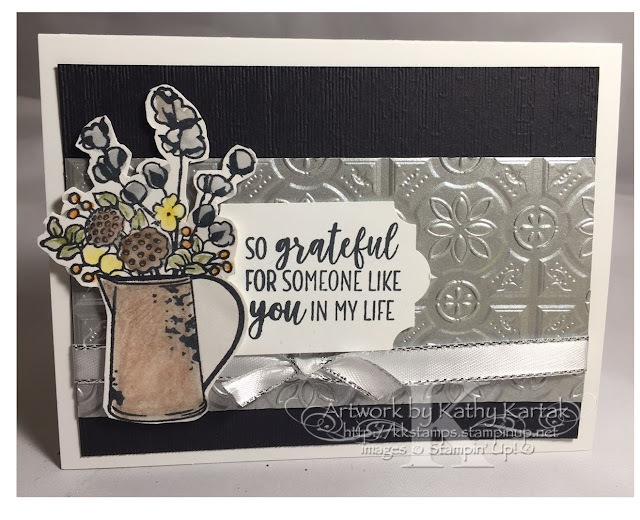 I stamped a sentiment from the "Country Home" stamp set in Memento Tuxedo Black Ink onto Shimmery White Paper and punched it out with the Everyday Label Punch. 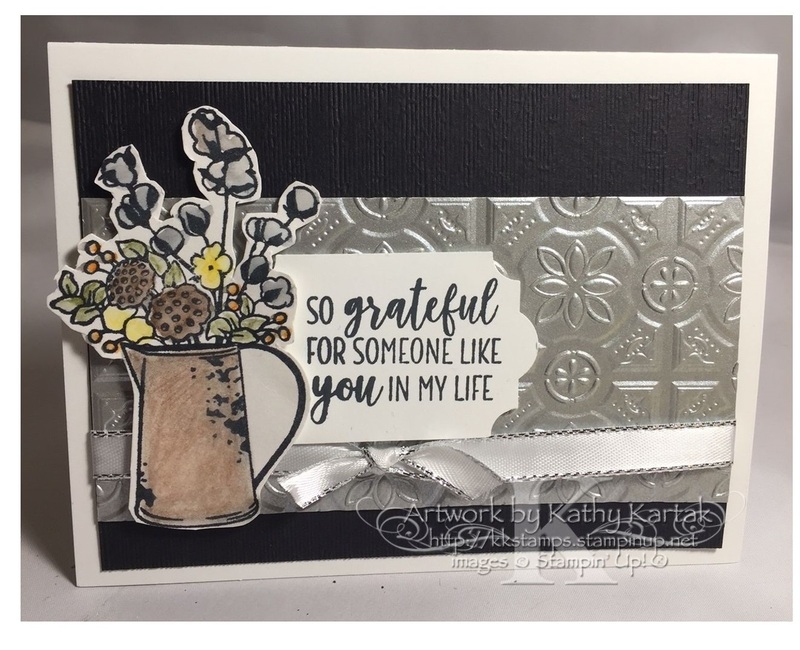 I adhered the fussy cut floral arrangement to the card with regular and Mini Stampin' Dimensionals and snuck the tag underneath, adhering it with Stampin' Dimensionals as well. Isn't it fun that I used basically the same elements on these two cards, but with a few color swaps, and they turned out so differently. I love them both--just like my kids. They came from the same parents, but they are so different from each other, yet I love them each for the unique qualities they have!